Born in Brooklyn, New York. 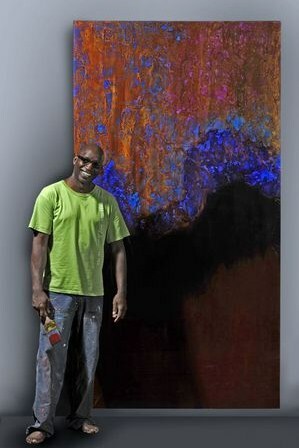 Eric’s work includes back painted frameless glass paintings and functional art. He pioneered the process with an innovative method that seals the back of glass surfaces against damage from moisture and abrasion. The treatment has the additional benefit of creating an airtight backing. He spent roughly twenty years as a technical consultant to some of the world's leading architectural design firms. He worked on a wide array of projects…including the Guggenheim Soho, Armand Hammer and Andy Warhol museums, among others. His involvement in numerous noteworthy “art related” architectural projects undoubtedly has had an impact on his evolution as an artist. Eric credits his career working within the design community as the source of his inspiration.